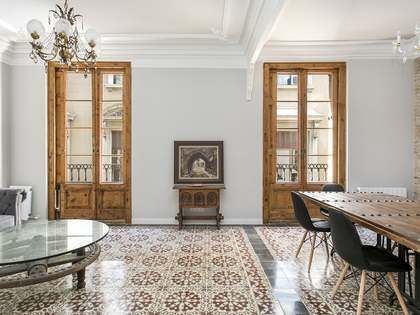 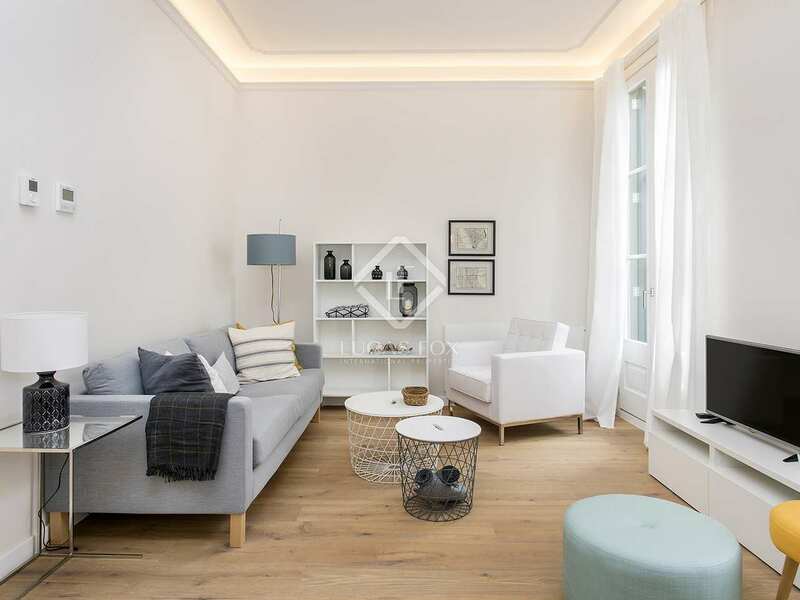 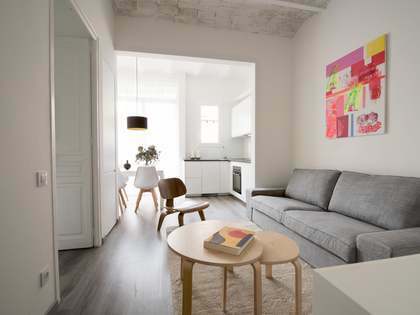 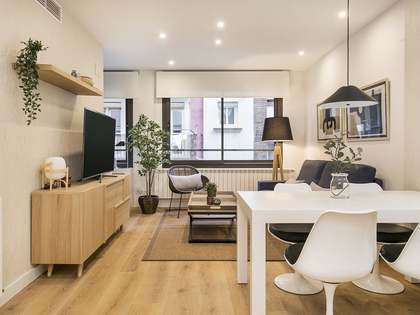 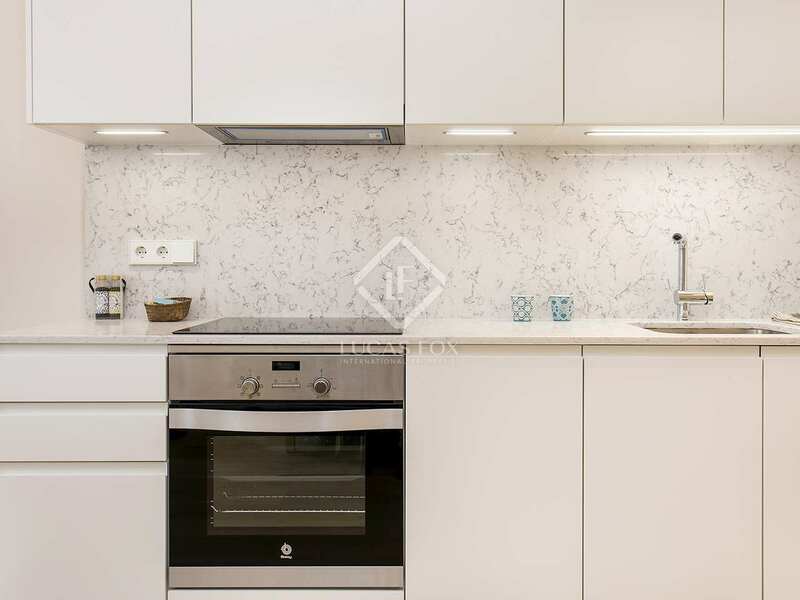 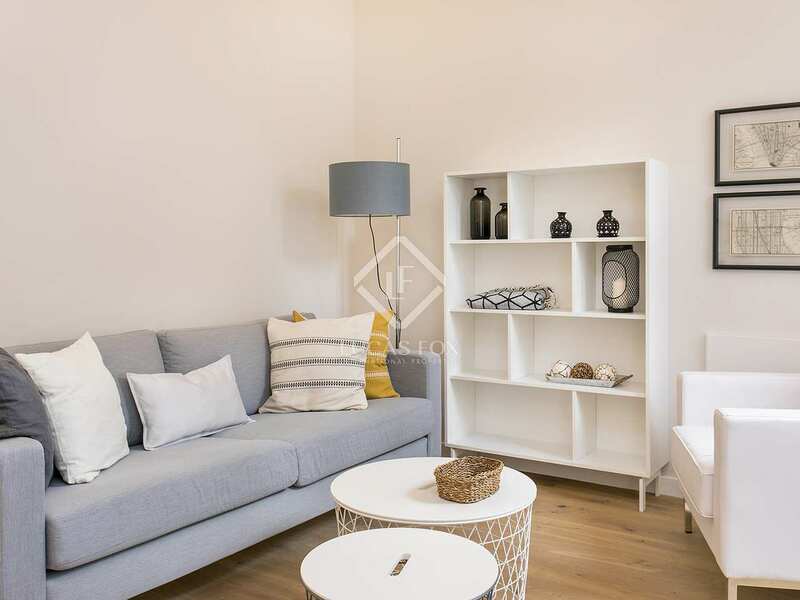 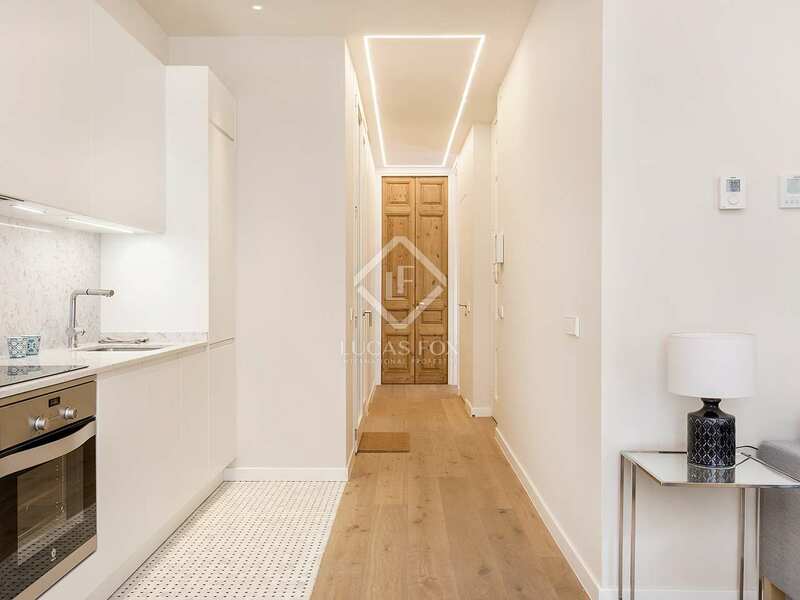 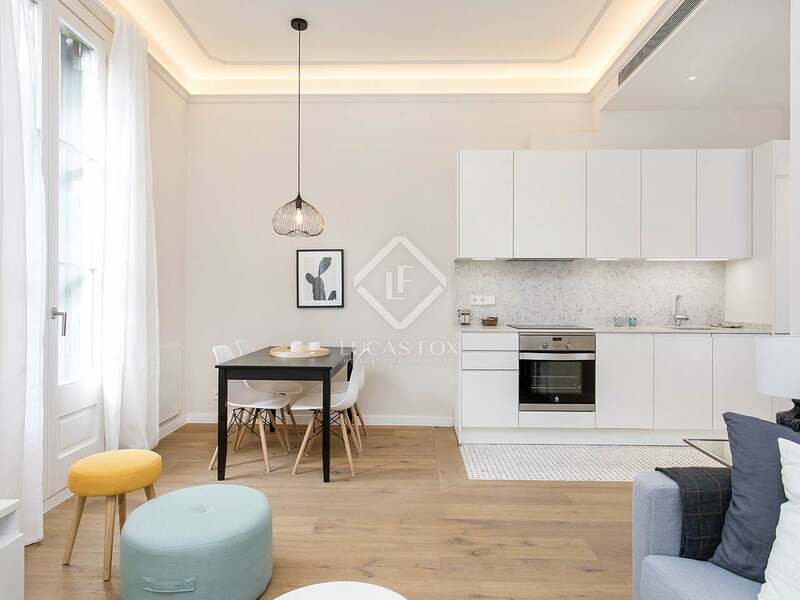 Beautifully renovated and fully furnished designer 2-bedroom apartment for rent at the heart of Vila de Gracia, Barcelona. 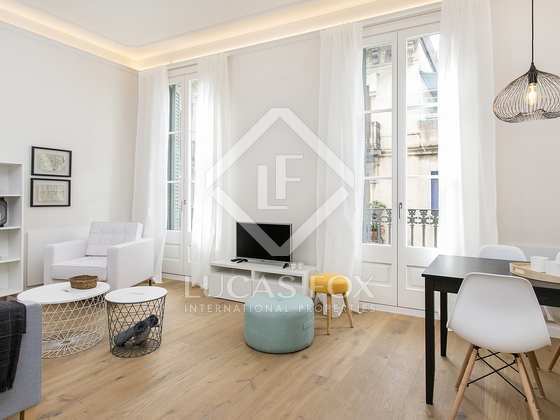 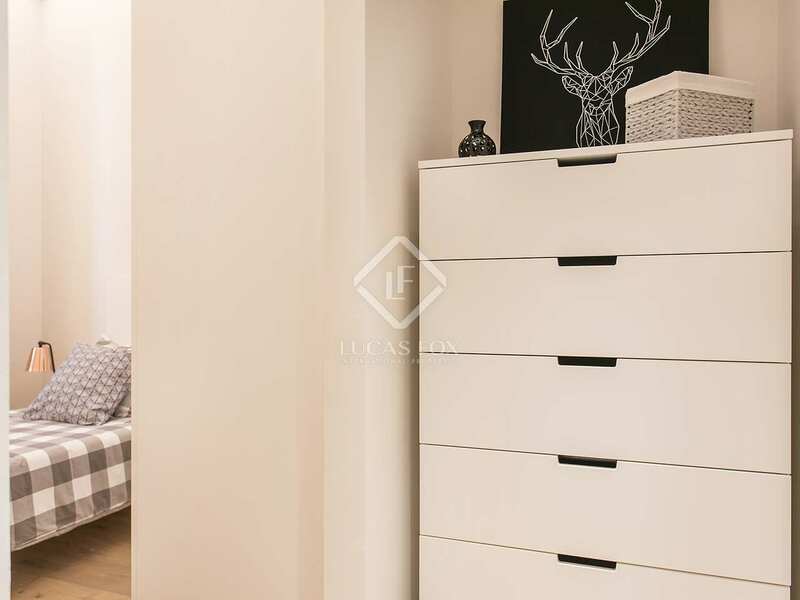 Right at the heart of Vila de Gracia we find this beautiful fully furnished 2-bedroom property in an attractive period building. 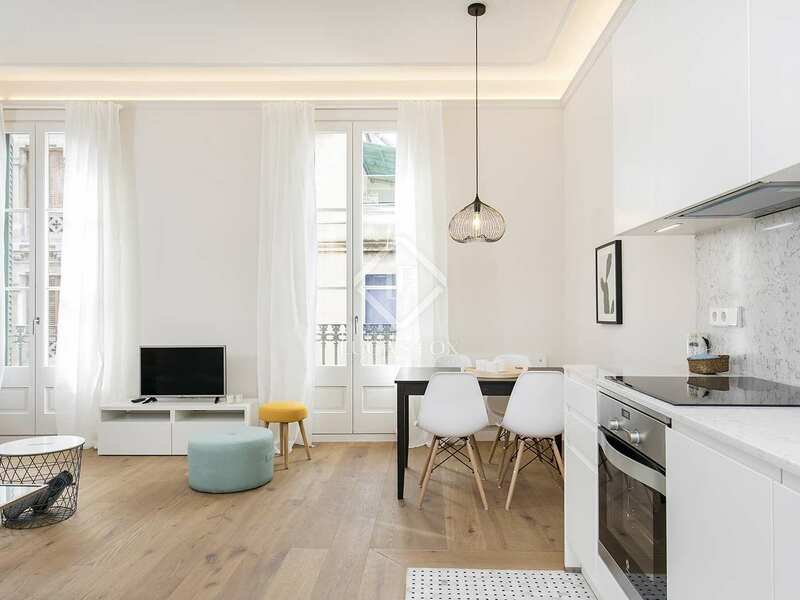 Despite its location in a historic building, the apartment has been completely renovated with high-end materials and modern, designer finishes. 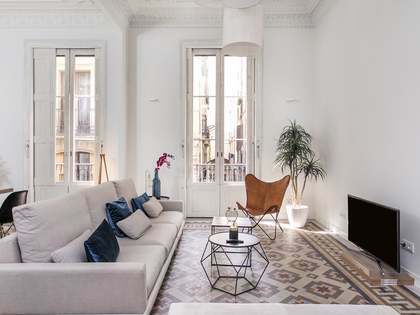 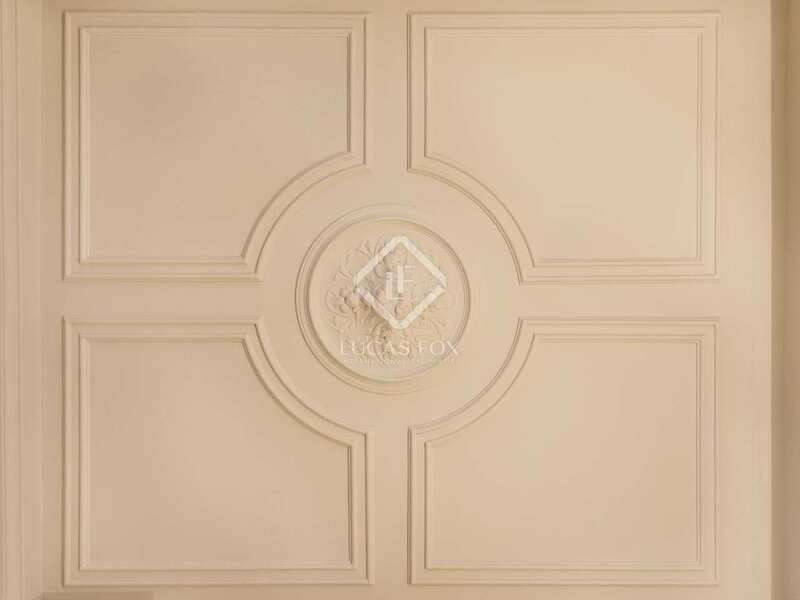 The period features such as the high ceilings with pretty plaster mouldings and the wrought iron balcony are complemented with contemporary design elements and light wooden flooring, creating a superb bright city home. 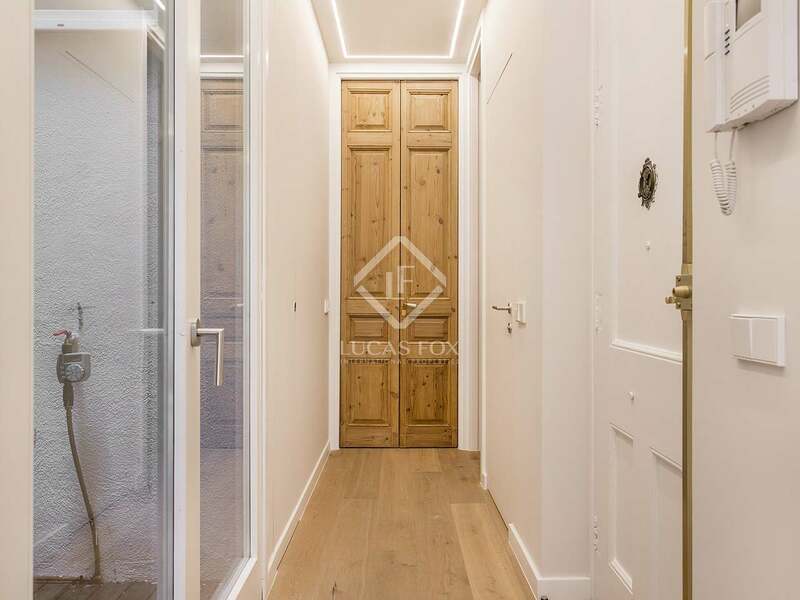 We enter the apartment via a hall with an original glazed interior patio to the right which lets light in and has been decorated with wooden decking and exotic plants. Straight ahead is the bright, open plan living room – dining room and kitchen which leads out to an elongated balcony overlooking the street via 2 floor-to-ceiling double doors. 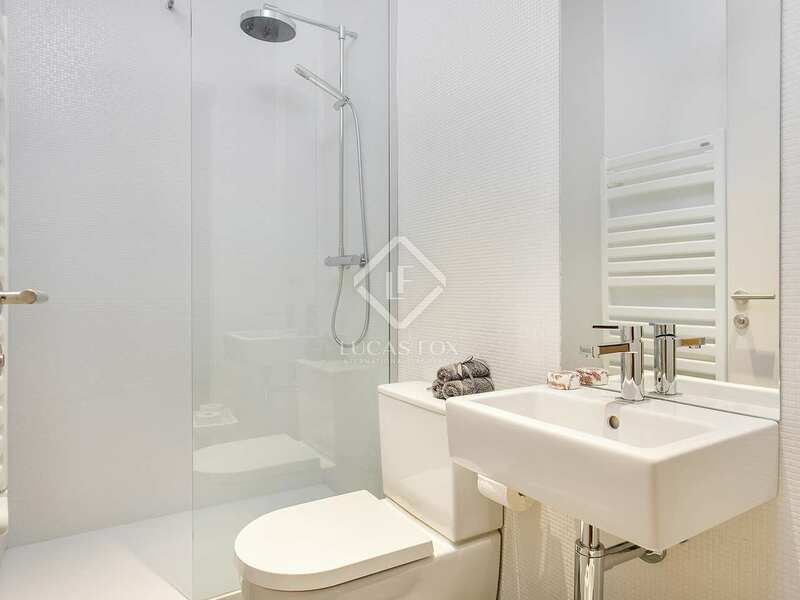 The night area consists of 2 bedrooms and 2 bathrooms with modern walk-in showers. 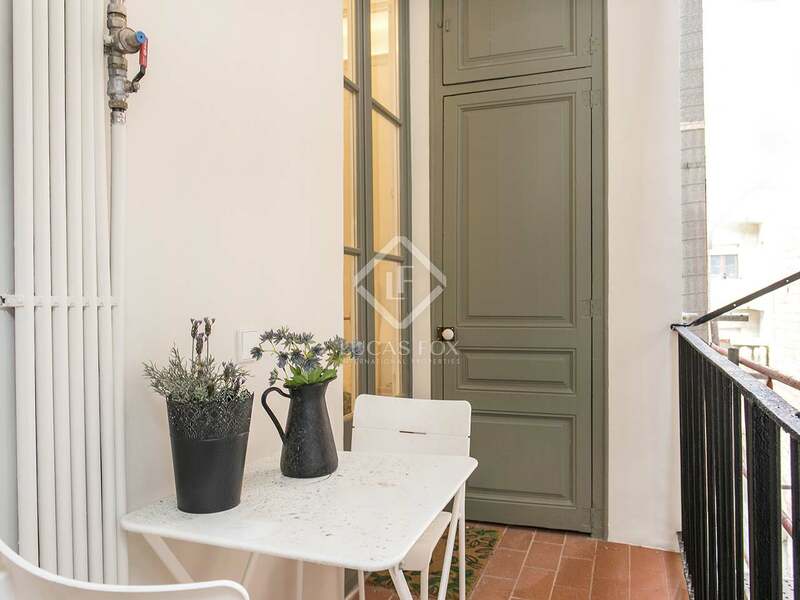 What's more, there is a terrace overlooking the rear façade with a table and 2 chairs, that can be accessed directly from both bedrooms; ideal for enjoying your morning coffee in the fresh air. 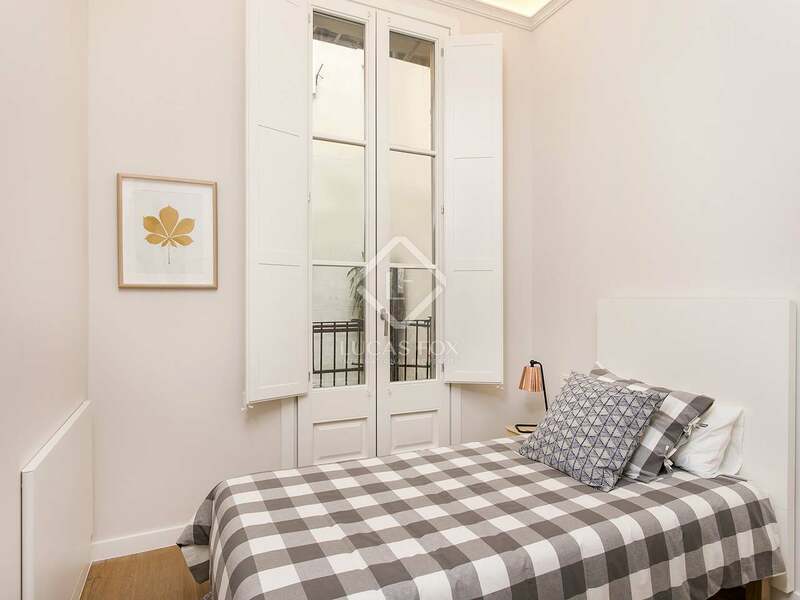 Please contact us to arrange a visit of this delightful rental property located in the wonderful Gracia neighbourhood. 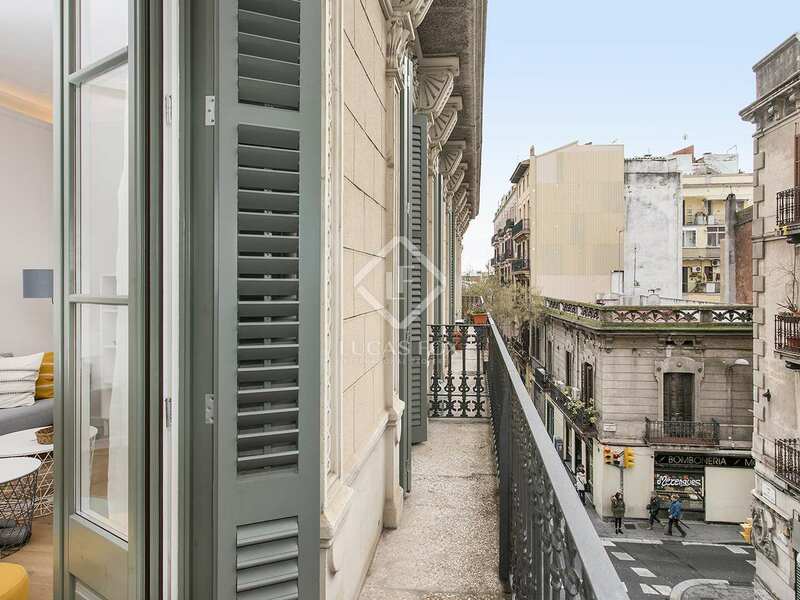 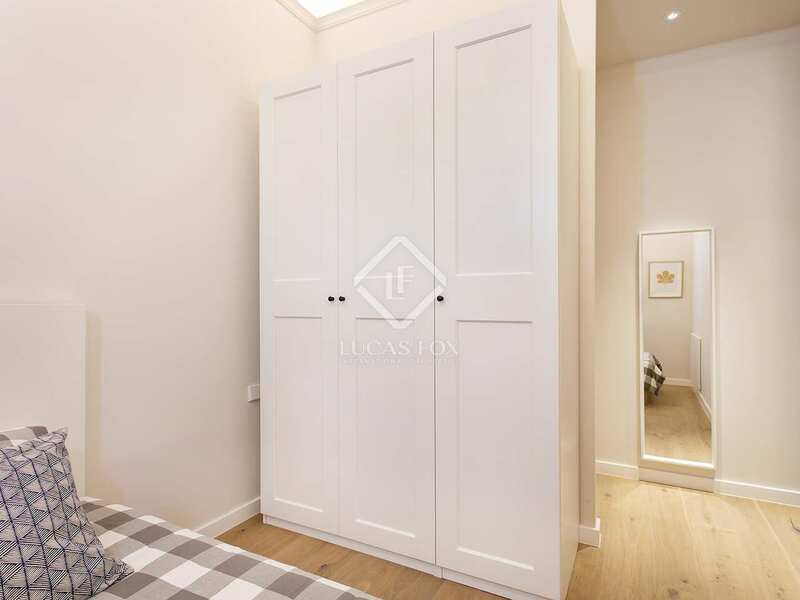 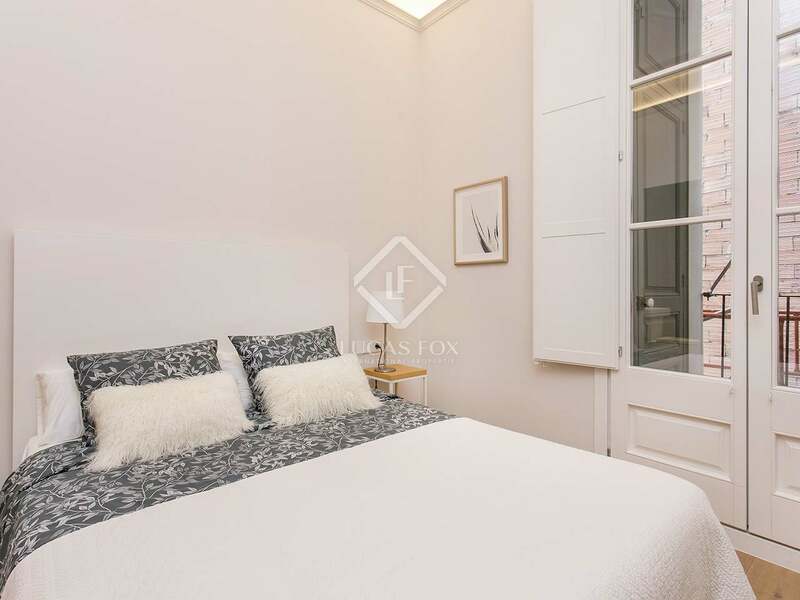 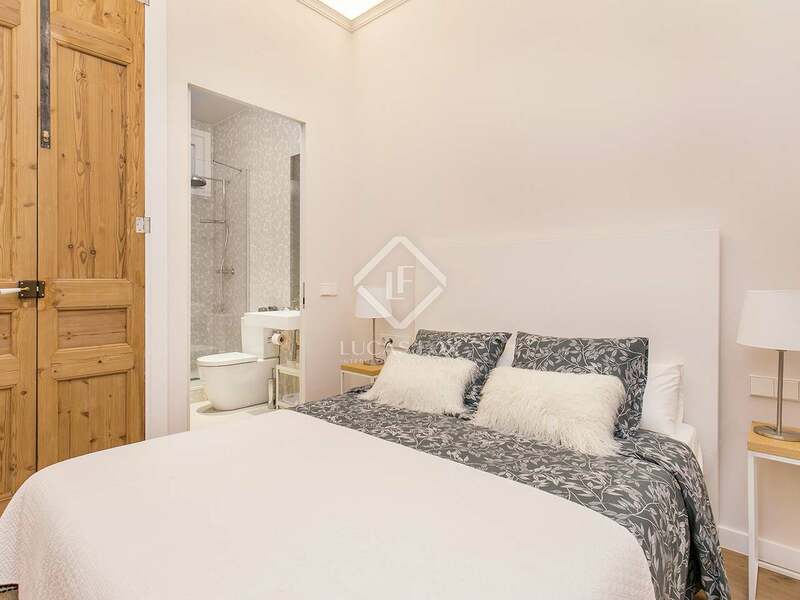 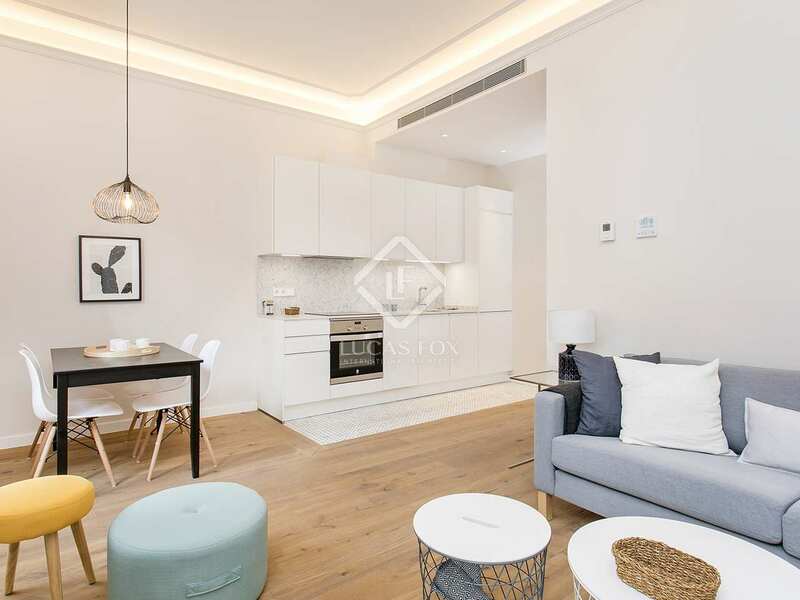 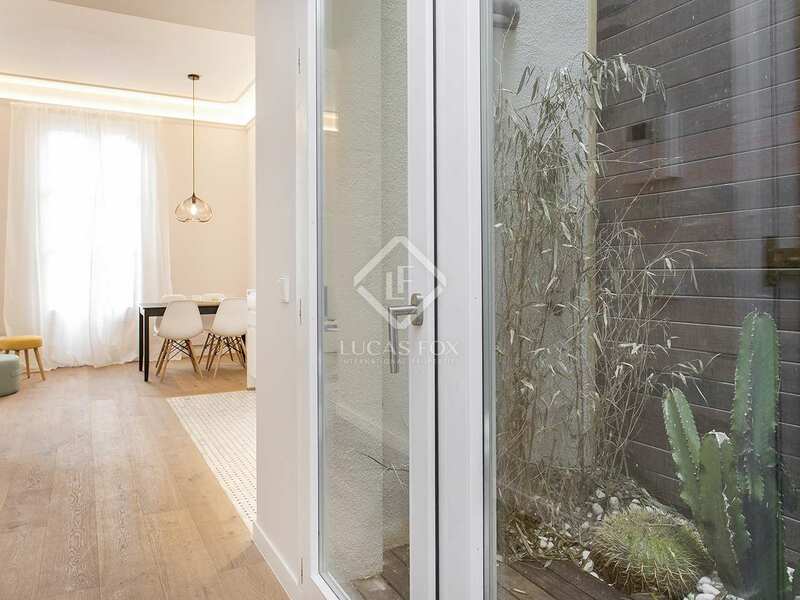 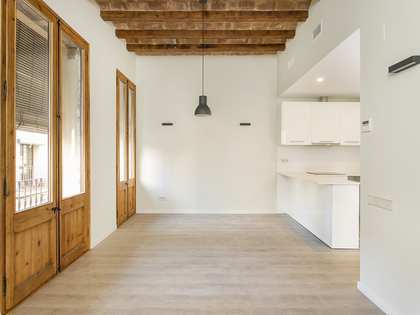 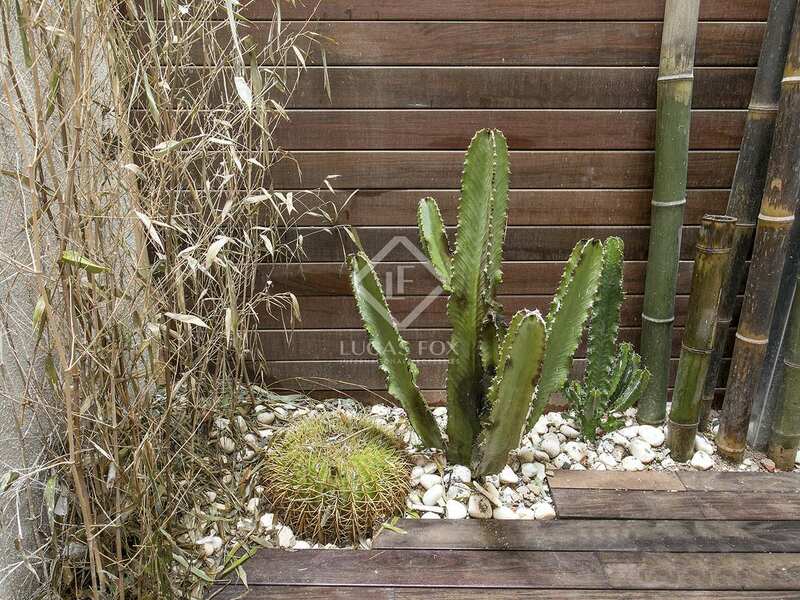 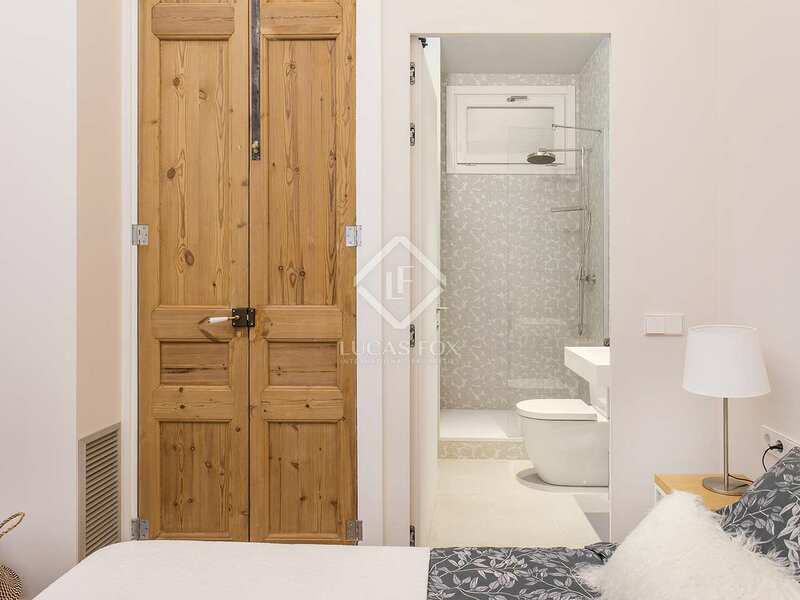 This property is located on Carrer Torrent d'Olla, in the middle of Vila de Gracia, Barcelona. 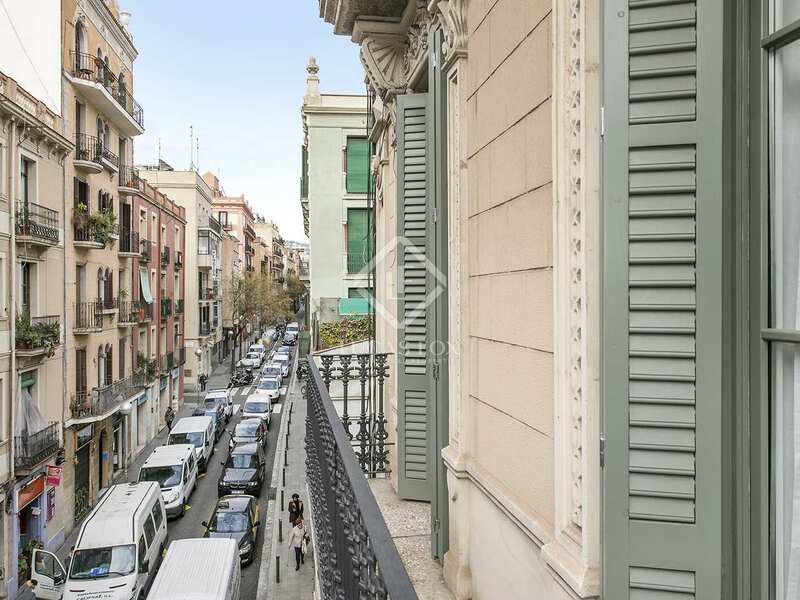 There are plenty of shops, cafes, restaurants, cinemas and public transportation in the immediate surroundings.